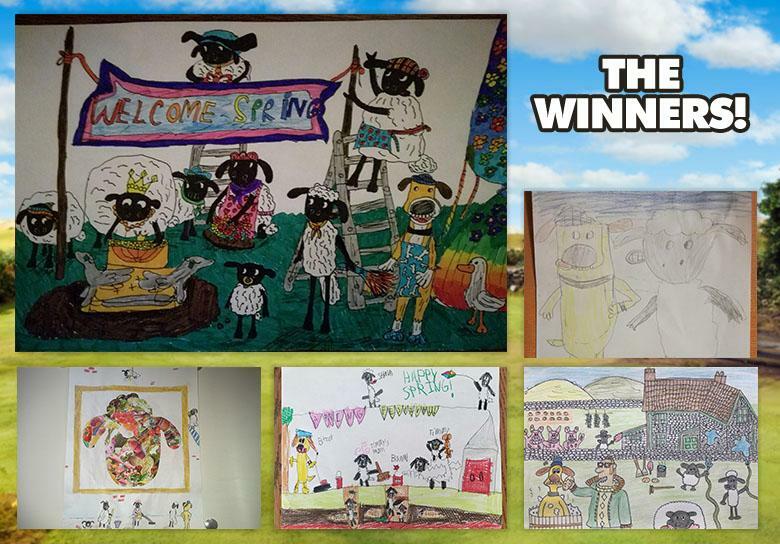 We are Aardman Animations Limited, and we are really pleased that you've chosen to visit our friend Shaun the Sheep and the rest of the flock by visiting our website. This site is operated by Aardman Animations Limited (“we”, “us”, “our”). We are a limited company registered in England and Wales under company number 02050843 and have our registered office at Gas Ferry Road, Bristol, BS1 6UN. Our VAT number is GB609301172. If you have any questions, concerns or would like to contact us about this website, please get in touch with us at: web.producer@aardman.com. From time to time we may run competitions on our site. If so, the terms and conditions for these competitions will be set out at the bottom of this page. Please note that there may be more than one competition running at the same time, in which case there will be a separate set of competition terms and conditions for each competition. By using our site, you are also confirming that you (or your parent or guardian) have read and accept the terms and policies listed above. This site is available for your own, personal use. It is not intended to be used for any form of commercial purpose or business activity. to knowingly transmit, send or upload any data or material that contains viruses, Trojan horses, worms, time-bombs, keystroke loggers, spyware, adware or any other harmful programs or similar computer code designed to adversely affect the operation of any computer software or hardware. otherwise do anything that will interrupt, interfere with, damage or disrupt any part of our site or any equipment, software or network that we use to make our site available. Our site is designed for people living in the United Kingdom and when you use the site you must comply with all laws that apply in the United Kingdom. If you live outside the United Kingdom you may visit our site, however we cannot guarantee that our site or any content that is available through our site is appropriate for use in other countries or territories. It is your responsibility to check that your use of our site is compliant with any laws or regulations that apply where you live. must comply and any other rules we post on our site that relate to uploading or sending content to us. You warrant (i.e. legally promise to us) that your content does comply with the rules above, and you will be liable to us and indemnify us for any breach of that warranty. If you are a consumer user, this means you will be responsible for any loss or damage we suffer, and any costs we incur, as a result of your breach of warranty. Although we may do so, we are not obliged to review content that is submitted to us or to the site. You are responsible for any content you upload to the site or send to us to upload to the site. We will not be responsible, or liable to any third party, for any content uploaded by you or any other user of our site. We also have the right to disclose your identity to any third party who is claiming that any content posted or uploaded by you to our site constitutes a violation of their intellectual property rights, or of their right to privacy. We may delete, edit, lock, move or remove any content without notice and for any reason. You are solely responsible for securing and backing up your content. You retain all of your ownership rights in any content you upload or send to us. in particular we will not be liable for: loss of profits, sales, business of revenue; business interruption, loss of anticipated savings, loss of business opportunity, goodwill or reputation; or any indirect or consequential loss or damage. We accept no responsibility or liability for the conduct of any user of our site. Nothing in these Terms shall be construed as excluding or limiting the liability of Aardman Animations Limited or our group companies where it would be unlawful to do so. This includes liability for death or personal injury caused by our negligence or the negligence of our employees, agents or subcontractors and for fraud or fraudulent misrepresentation. We are the owner or the licensee of all intellectual property rights in our site and in the material published on it, including all information, data, text, music, sounds, photographs, graphics and videos, the selection and arrangement thereof, and all source code, software compilations and other materials available on or embodied within the site (“Materials”). All Materials are protected by copyright laws and treaties around the world. All such rights are reserved by us. You can view, print or download extracts of the Materials for your own personal use but you cannot otherwise copy, edit, reproduce, publish, display, distribute, store, transmit, commercially exploit, disseminate in any form or otherwise use the Materials (other than content posted by you) without our express permission. Our status (and that of any identified contributors) as the author(s) and/or owner(s) of the Materials must always be acknowledged. You may reasonably draw the attention of others to content posted on our site but you must not otherwise frame or link to the site or any part of it without our permission. You must not use any part of the Materials for commercial purposes without first obtaining a licence to do so from us or our licensors. The trademarks, service marks, logos and characters contained on or in the site ("Trade Marks") are owned by us, our group companies or our third party partners. You cannot use, copy, edit, reproduce, publish, display, distribute, store, transmit, commercially exploit or disseminate the Trade Marks without the prior written consent of Aardman or our relevant group company or our relevant third party partner. We do not guarantee that our site, or any content on it (including text, images, sounds, videos or interactive features like games), will always be available or be uninterrupted. We may suspend, withdraw, discontinue, change or restrict the availability of all or any part of our site without notice at any time for business and operational reasons. We will not be liable to you if for any reason our site is unavailable at any time or for any period. The site is provided on an “as is” basis and the content on our site is provided for general information only. The content on our site is not intended to amount to advice on which you should rely. You must obtain professional or specialist advice before taking, or refraining from, any action on the basis of the content on our site. We may update our site from time to time, and may change the content displayed on our site at any time. Although we make reasonable efforts to check and update the information on our site, we make no representations, warranties or guarantees, whether express or implied, that the content on our site is accurate, complete, up-to-date, fit for any particular purpose or compatible with any third party systems. To the fullest extent permitted by law, all such terms and warranties are hereby excluded and any use of the site or its content by you is done as your own risk. You are responsible for configuring your technology in order to access our site and you should use your own virus protection software. You may link to our site provided you do so in a way that is fair and legal and does not damage our reputation or take advantage of it. We have no control over the contents of those sites or resources and we assume no responsibility for the content of websites linked on our site. Such links should not be interpreted as endorsement by us of those linked websites. We will not be liable for any loss or damage that may arise from your use of them. We do not generally advertise third party products or services on our site. If any adverts do appear on our site then we accept no responsibility for the content of those adverts. If you agree to purchase goods and/or services from any third party who advertises on our site, you do so at your own risk. The advertiser, not Aardman, is responsible for such goods and/or services and if you have any queries or complaints in relation to them, your only recourse is against the advertiser. Immediate, temporary or permanent withdrawal of your right to use our site, including suspending or restricting your access to our site or certain parts of it. Immediate, temporary or permanent removal of any content uploaded by you to our site. Every time you visit our site, please check these terms to ensure you understand the terms that apply at that time as they are binding on you. No other variation to these Terms shall be effective unless in writing and signed by an authorised representative on behalf of Aardman. These terms were last updated on 31 October 2018. 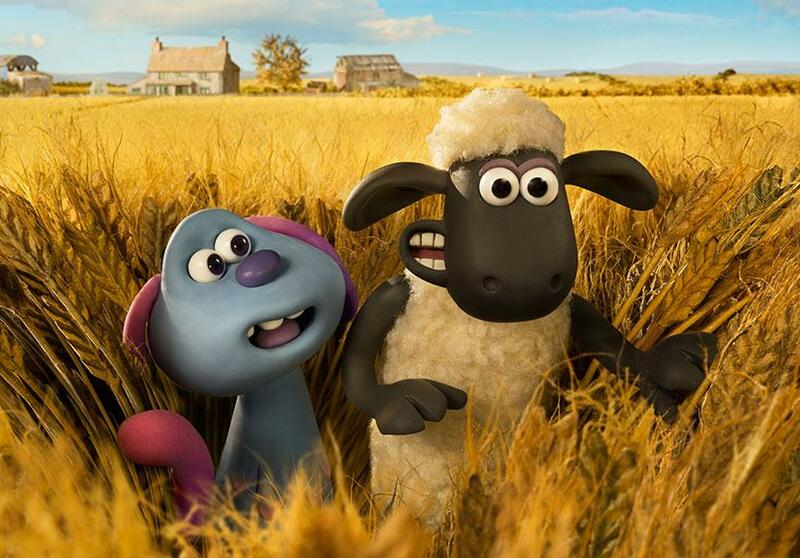 To contact us, please email us at: web.producer@aardman.com.